Ingrown toenails can be extremely painful. As your nail grows sideways into the tender flesh of your toe — usually the big toe — redness and swelling can occur. To reverse an ingrown toenail, you can try cutting a v-shape into the middle of your toenail. 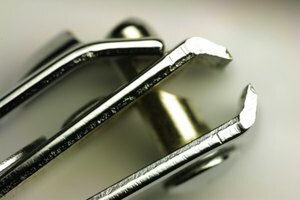 If the problem becomes so severe that it is painful to walk and the corners of your toenail are excreting puss, you may have an infection and must seek medical attention. To help avoid this, here is our best advice. Turning the nail clippers to a 45 degree angle, clip the first side of the v-shape notch into the middle of your toe nail. This should be a small cut. Do not cut into your nail bed. 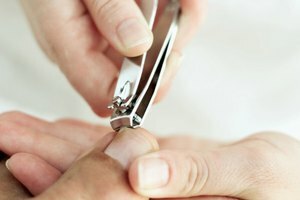 Turning the nail clippers to a 45 degree angle in the opposite direction, clip the same sized notch into your toenail. Make sure that the cuts meet at a point in the middle. Now that you have a v-shape cut, do not trim or touch your toenail for a few days. You must allow the toenail to grow towards the middle v-shape. Soak your foot in warm, soapy water to relieve any pain. After the toenail has grown out and the v-shape is no longer there, you can resume normal trimming. To prevent ingrown toenails, never trim your toenails too short. Also, avoiding trimming in a curved shape, which will promote the growth of ingrown toenails. If you are a diabetic or have problems with your circulation, do not use this v-shape technique. Only a doctor can safely treat an ingrown toenail and prevent problematic infections.